Call ahead 289-806-1726 for hours and directions. A car wrap can mean a large graphic decal or an entire new colour applied over the original paint of a car. At Hamilton Glass Experts we do standard car wraps as well as advertisements and designs. 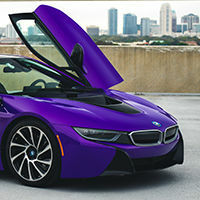 Generally, people love to apply car wraps to their vehicles because it is half the cost of a regular paint job. Businesses can apply their logos, slogans, and images to their cars for the purpose of advertising while they drive throughout the city. 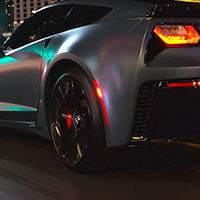 We offer vinyl car wrapping with 3M 1080 film because it is the best for a car that needs a visual makeover. We only use the highest quality material by 3M because it has proven to be the best and most trustworthy brand in the car wrapping industry. Come see us today to browse our collection of colour swatches and wrap samples. You can also view a large selection of colours above. 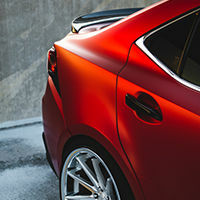 A common concern regarding vinyl wrap is that it may ruin the paint on your car. 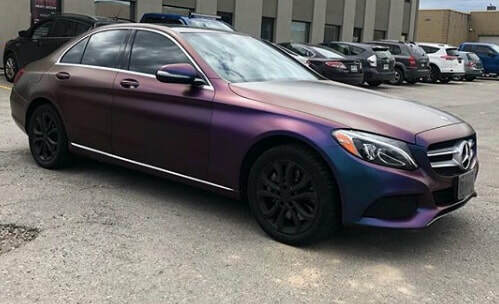 At Hamilton Glass Experts, we guarantee the vinyl wrap will not ruin your paint as long as the initial paint was applied professionally. 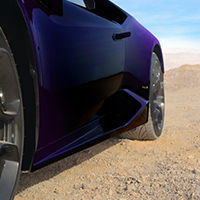 In fact, the vinyl will protect the paint from over exposure to the sun and even minor scratches. Outdoors, the vinyl wrap will last between 5-8 years before it needs to be replaced. Vertical panels will last longer than horizontal panels. These factors will vary depending on where you are located, how often your drive your car, and how clean it is kept. 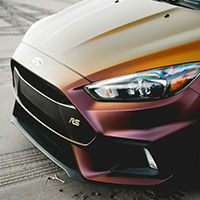 What makes vinyl wrap inferior to regular paint? Pain is permanent, which can decrease the value of a car, especially if there are scratches or discolouration. 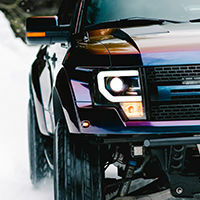 If you are interested in selling your car down the road, the best way to present a new-looking vehicle to buyers is to simply remove the vinyl wrap and expose the preserved paint underneath. 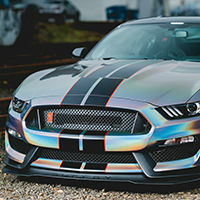 Don’t worry about washing your vinyl wrapped car either, we actually recommended it. If you don’t have time to wash it by hand or if it’s too cold to consider the option, you can still take your car through a cash wash! The car needs to stay clean and car washes and gentle enough that the vinyl wrap won’t come off. We advise against using a pressure washer, however. Using a pressure washed on a car without vinyl wrap would still remove bits of paint off of the car. The best thing about vinyl car wrapping is that dents and scratches can usually be fixed with patchwork. It’s not necessary to get your car completely wrapped all over again. 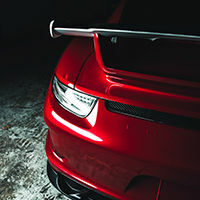 Once we wrap your car once we have the colour and car information on file, so the job is quick and easy. If you have any concerns or questions regarding patchwork or a new vinyl wrap visit us at our local Hamilton shop. In addition to vinyl wrapping we also do standard car wrapping and advertisement car wrapping. 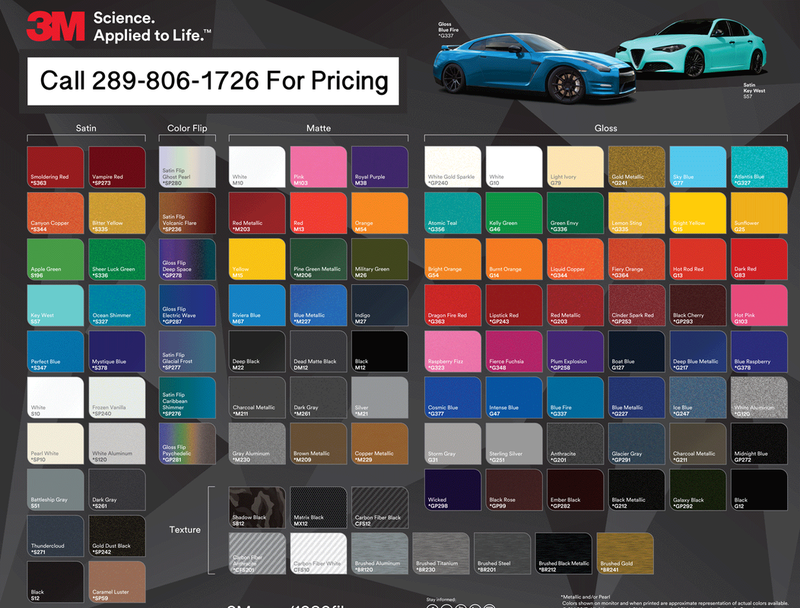 Call now to receive a quote for your car wrap at 289-806-1726. Let's Get Your Wrap Quoted & Schedule a Time To Get it Done! Please call or request a quote online.